SS: John you have been involved in cricket administration for as long as I have known you, and you have been a very astute leader. You have been an executive member of your club Atlantis for the longest while, and still is. In addition, you have served as Executive Secretary of USACA, and more recently as Secretary of the American Cricket Federation. 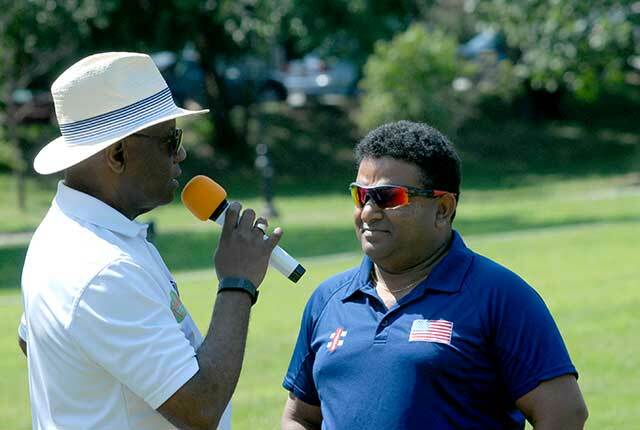 You have also been part of several steering committees conducting cricket tournaments and cultural events, such as those organized by the Indo Caribbean Federation in New York. However, I am sure that at times, you must have felt tired or even frustrated with the stagnated growth of cricket in the USA. If so, why are you seeking election as Club Director on the US Cricket board? JA: Very good question Sam. However, I strongly believe that I can make a worthwhile contribution to the growth and development of the sport in the USA, hence my candidacy. I believe I am the strongest candidate contesting for Club Director, based on my 30 years of cricket club administration and experience gained at the national level. I chose this particular position because I do believe that with strong clubs, comes strong leagues, and by extension a stronger national governing body. USA cricket needs a national governing body that supports the grassroots development of the sport and organized clubs can provide the foundational base for a pathway to excellence, on and off the field. SS: The last national governing body for cricket in this country USACA, came into being in 1965, and according to a majority in the cricket community, did not accomplish much for US cricket in the 50 plus years that it has governed USA cricket. What were some of the positives and the negatives experienced by USACA? 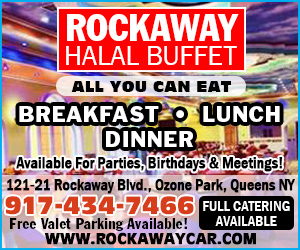 Why has it failed in the eyes of the ICC, and in the eyes of so many in the USA? JA: Like any national governing body, there will be positives and negatives along the way. However, the negatives far outweighed the positives during the past 15 years of USA cricket. Some of those negatives had a lot to do with poor governance and a cricketing community that accepted the status quo, as long as cricket was played within their respective communities; with very little attention paid to a pathway for cricketers to represent the USA on the international stage. In addition, there was tremendous fragmentation coupled with divisive politics that stretched the cricket community to an unbearable extent. Some of the positives included a sense of national pride worn by those players fortunate enough to get onto the stage and represent the USA internationally. A positive attitude regarding youth cricket and the growth of youth academies gave rise to optimism for the sport in the USA. SS: It is the general view according to the cricket circles within which I associate, that cricket in the USA will “go nowhere,” unless and until the game is able to win over native-born Americans, and that expatriates cannot sustain the game as a viable and professional sport. Even the children of some expatriates are not drawn to cricket. What strategy(ies) would you suggest the national body implement to win over Americans? JA: Any narrative written that seeks to win the hearts and souls of non-traditional cricket fans and players must include a sense of patriotic pride and ownership of the sport. That’s the part of the story-telling that needs to be written, so as to attract native-born Americans to play cricket. The American sports landscape is so crowded that cricket must position itself as a niche sport and an alternative sports option for participation by boys and girls. Cricket is a team sport played by individuals, however, those individuals must see themselves as part of a like-minded group with the goal of winning in mind. The same philosophy may be applied to a new NGB comprising individuals of diverse cultures and ethnicities. In the story-telling, native-born Americans must see themselves as part of the story with a professional career path ahead of them. SS: Transparency, is an important word, and it seems as though everyone running for elected office these days promises transparency if elected. They talk about keeping their constituents informed about what that they are doing, but once elected, the word transparency is deleted from their vocabulary. What is your “modus operandi,” administration style, “implement then inform,” or “inform (the constituents) then implement”? Will you discuss with your constituents matters you are contemplating before raising them with the Board, or would you go to the constituents after discussions in the Board? JA: I agree, transparency is a word that’s thrown around a lot, but what is transparency? At its core transparency simply means honesty coupled with integrity. For USA Cricket to be successful, the organization must be transparent and keep the lines of communication open at all times. A top down approach won’t work, while a bottom up approach would not reflect confidence in those elected. It would be like the tail wagging the dog. It has to be a two-way process, and in doing so a level of trust would be established and transparency would become the norm rather than the exception. My leadership style is collaborative and building of bridges, therefore, any action initiated on my part will be reflective of my “constituents” and or the policy of the board of directors. SS: At this time, from the last reports I have received, only approximately 6,000 members are listed on the US Cricket membership roster and eligible to vote. With over 10,000 active cricketers, 1.5 million fans, 1,000 clubs, and leagues numbering in the hundreds, etc., why is the registration so low? JA: I was not involved in the registration process at the ICC level, so I cannot respond with any degree of conviction, except to speculate that this being the first time that such an initiative was undertaken, it may have had an impact on the registration process, unaccustomed as it was for those registering. In addition, USA cricket is experiencing a cultural shift on the political front and many groups that felt previously marginalized did not embrace the process, or were simply not interested in the governance aspect of USA cricket. That’s unfortunate on both fronts, and it may take some time for stakeholders to develop a trust in the governance model now being pursued by the formation of a new NGB. SS: It is the general view of some that the ICC has an “ulterior motive” in getting their hands on our cricket, and that they see the USA as a lucrative cricket market. So rather than work with USACA, they “grabbed the spoils for themselves.” What are your thoughts on such claims? JA: Unfortunately, any response from me vis-à-vis such claims would only be speculative and contribute further to hearsay and rumor. I have no knowledge base upon which to respond. SS: Dave Richardson, head of the ICC has been in it from the start, and it is believed that he “instigated” the ICC Board to expel USACA so the ICC could become the de facto NGB for cricket in the USA. He was involved in all phases of the initial operations leading to USACA’s expulsion from the ICC, then toward the end leading up to the elections preparation he made sure that he was in a position to determine who are running for office as Directors. He was one of the four people responsible for vetting the prospective candidates for election to the board. Now that US Cricket will become the national body, it has the right to apply for ICC Associate Membership, and once the application is made, Dave Richardson will have a say in the decision on the application. Isn’t this a case of “conflict of interest”? JA: Sam, with all due respect, those are some very serious claims and actions being attributed to the ICC and its management. I cannot speak for the ICC, nor can I categorically state that those “intentions” are factual. The ICCs Chief Executive Officer Dave Richardson has been publicly involved in the “due diligence” effort of the ICC in seeking a resolution to the cricketing crisis in the USA. As the ICC’s chief representative it makes sense for him to be involved in an issue involving one of the organization’s Associate members, but to the extent you are suggesting his involvement, would have to be substantiated by fact, not innuendo. I don’t see a case for conflict of interest, if the ICC’s CEO is involved in the transition process, and I don’t believe he has the final say on whether USA Cricket is “readmitted” as an Associate Member of the ICC. I do believe the ICC’s board will make that final determination at its annual meeting. SS: John, what is your prognosis for cricket in the USA? 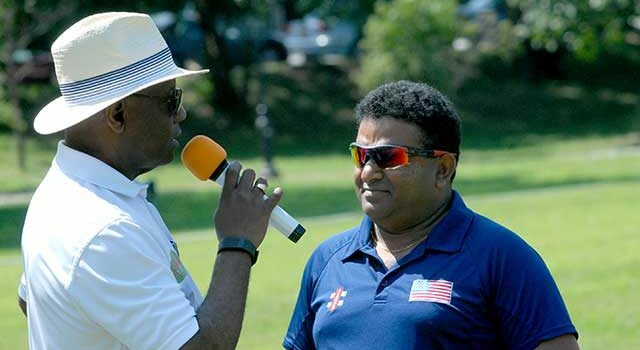 With a new national governing body in charge, do you feel that USA cricket “will go places”? JA: I am optimistic, however, my optimism is driven by my passion for the sport and deep belief that I can help further drive that optimism. The unification of all cricket stakeholders in the USA is necessary for a full-blown forward effort, if not the process leading to success will take much longer. I do believe USA cricket will go places, because we have the talent on the field, we simply need to have the governance structure in place, and focusing on strategic initiatives, including sponsorship and a clear pathway for players to represent the USA at all levels. SS: We have played cricket in this country for over 300 years, yet look where cricket is at this time. In the basement. Afghanistan, in only decades have attained Test status in the ICC. What do we have to do to come out of the basement and get onto the world stage? JA: The two situations are somewhat different, as Afghanistan cricket has received support from the UK government, MCC and independently wealthy benefactors, while USA cricket was largely dependent on performance grants from the ICC. The paucity of large scale sponsorships for USA cricket was largely viewed as a result of poor governance and a lack of confidence in the administration of cricket in the USA, hence, the inadequate preparation of teams to competitively rise on the cricket stage, as rapidly as Afghanistan did. On the bright side, Afghanistan’s rise gives USA cricket hope, because we have the talent to compete; we just need the stage built for similar performances. SS: Back to the USA Cricket elections. What do you think of your chances of being elected? It is quite a crowded field for Club Director. JA: I believe my chances are excellent, if the club representative voters look at my record of experience and accomplishments and recognize that I am not new to this, I am true to this. What I bring to the table is an ability to bring people together to solve common problems, and create initiatives to effectively sustain a national governing body based on a solid foundation of organized club cricket. I have written quite a bit on the subject of organized club cricket over the years, and the value of club cricket in the local communities and on the national stage. SS: You lead a very successful cricket club that has five men and eight women at last count, on the USA national squads. What do you attribute to such success and the molding of such quality players? JA: Cricket is not only played when a batsman or batswoman walks out to the middle, it is played within the overall development of the character and personality of the individual player. That development is curated through a focused approach to personal development and skills building. However, it occurs best in an environment conducive to good mentoring and coaching. The Atlantis Cricket Club of New York model works because the club is democratically organized with good governance practices, and is integrated with the community, and receives the support of the community. SS: Atlantis Cricket Club provides financial scholarships annually to young cricketers entering college, as well as being involved in other community activities. How do such actions help the growth of cricket in the USA? JA: It’s not specifically the financial stipends awarded cricket students that would necessarily help USA cricket grow, it’s the value-added opportunities beyond the sport that would attract players, fans and hopefully sponsors to the sport. More importantly, it’s about building partnerships within the community and giving back something to the community, whether its educational funding, cricket kits to schools, clothing and toy drives, or being part of the civic conversations within the community. Atlantis Cricket Club has been around for 52 years, simply playing cricket for some 35 years, until the club got more involved with the non-cricketing community, and with projects such as Habitat for Humanity and helping the less fortunate. The Atlantis model works, so much so, that last year a Pakistani player who played for Atlantis formed an Atlantis Cricket Club in Peshawar, Pakistan, and known as Atlantis Cricket Club – Peshawar. It is something that I am particularly proud of as the Atlantis model like any other organized cricket club model can be replicated throughout the USA and internationally. SS: It seems as though if elected Club Director on the USA Cricket board, you will have your hands full with lots of ideas for clubs. Is there any specific role you see clubs playing on the national stage? JA: Cricket clubs, more so organized cricket clubs have a tremendous role to play in USA Cricket and the furtherance of the sport in the USA. Clubs are the backbone of most team sports in the crowded USA sports landscape and therefore will play an integral role in the sustainability and popularity of the sport. Specifically, clubs would be encouraged to form partnerships within their communities to maintain their self-sufficiency and cultivate a democratic platform for their members. Part of such a platform would be the adherence to good governance and democratic principles. If the clubs at the bottom of the national structure fails, then it is likely that the national structure will not be sustainable. An NGB is as strong as its weakest league, and a league is as strong as its weakest club, therefore as the foundation of the NGB; clubs must remain strong, have robust programs that support the policies and pathways developed by the NGB. SS: Thank you John, and best of luck in the upcoming USA Cricket elections.